Who is ZhangYun Machinery Manufacturing? - ZhangYun Machinery Manufacturing Co.,Ltd. 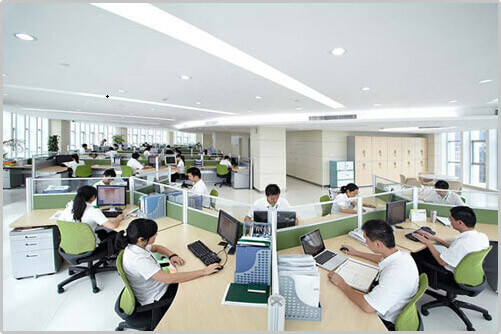 You are here: Home » News » Company News » Who is ZhangYun Machinery Manufacturing? Who is ZhangYun Machinery Manufacturing? ZhangYun Machinery Manufacturing Co.,Ltd. was founded in 2002, the company started relying on local resource advantages in the production of transportation equipment, with changes in the market situation, low-tech, high labor costs, transportation equipment industry has not meet the city's industry trends, in 2006 the company began to turn to non-standard equipment R & D, manufacturing and sales, is a professional manufacturer of cold-formed equipment, high-frequency welded pipe equipment, elevator guide auxiliary processing equipment and non-standard automated production line of well-known enterprises. Company annual sales of various non-standard / standard equipment over 500 / sets.